KUBO is one of the biggest greenhouse builders in the world. For food growing and horticulture with higher yields, improved returns and for lower costs. KUBO Kassenbouw offers you full-service greenhouse construction and realisation, with contracting, engineering, manufacturing, construction and service all under our own management. This enables us to monitor the entire process, deliver on time and be certain that we use the latest technologies and concepts. 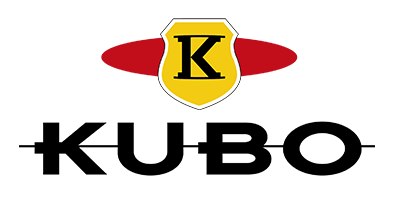 KUBO has its own specialists for greenhouse design and technical systems and also enters joint ventures with the top specialist companies involved in heating, cooling, irrigation systems, electro-technology, climate control, lighting, screening systems and logistics systems. This enables us to deliver greenhouses built and designed entirely under KUBO Kassenbouw’s management. Experienced assembly teams and modern building equipment guarantee that your project will be realised efficiently wherever in the world. At KUBO we can now look back on 70 years of greenhouse horticulture. A stable, family company with the third generation now at the helm. We use the knowledge and experience gained over many years to constantly focus on new developments, as we always have done. Today, KUBO is a leading greenhouse builder with a sustainable approach to covered cultivation worldwide. Our own research and development lie at the heart of unique innovations such as the Ultra-Clima® greenhouse. We invest continuously in innovation and improvement; not only of complete greenhouse concepts but also of facades, rubber rafters and gutters. Innovative projects together with conventional greenhouses are what makes KUBO unique. Develop an organisational structure with a team that meets the required competences and that functions in accordance with quality management system guidelines in which improvement and risk management are continuously embedded. Comply with mandatory food safety standards and regulations, enabling supply to (international) retailers.